ND2MP is supported in part by the Ecosystem Indicators (EIP), funded by the Clark County Multiple Species Habitat Conservation Program (MSHCP). The EIP has three main research objectives, ND2MP being a portion of one of those objectives. 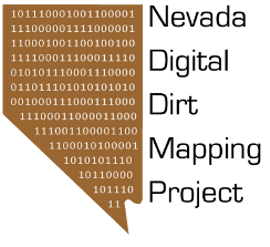 Objective one is to establish a robust GIS-based characterization of the geomorphology and surficial geology of Clark County, Nevada (i.e. ND2MP). Although the term ‘habitat’ is often used loosely as equivalent to ‘native vegetation’, this is not always the case. Nonetheless, scientist and managers continue to use vegetation as a means for defining habitat. Geologic materials provide an alternative and at times more appropriate means of defining species habitat and extent of vegetation communities, especially in arid environments (Miller and Franklin 2002, Heaton et al. 2006). Objective two is to map the ecosystems in Clark County. The MSHCP uses an ecosystem-based approach to conservation planning and management for plant and animal species. We will update and refine the current vegetation based ecosystem model for Clark County. This includes the identification and spatial modeling of various NatureServe based Ecological Systems, Alliances and possible Associations. Our goal is to capture important ecosystems that include such broadly defined vegetation classes as blackbrush, sagebrush, pinion-juniper, saltbrush, creosote bush, Joshua Trees, etc. Additionally, we will for the first time develop spatial models for non-vegetation based MSHCP ecosystems such as dunes and dry lakes. Objective three is to develop an enhanced vegetation based ecosystem classification model in three pilot areas using more intensive sampling, advanced spatial statistical methods and object-oriented classification and the newly developed geomorphology and surfical geology datasets. Current pilot areas under consideration include Piute-Eldorado Valleys, Ivanpah Valley, Gold-Butte and Kyle Canyon area across to the Sheep Range.